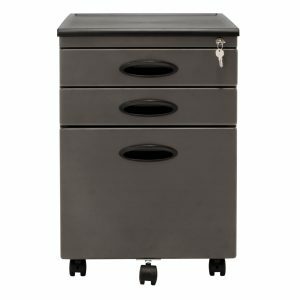 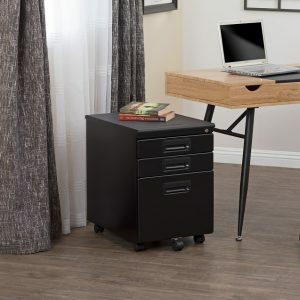 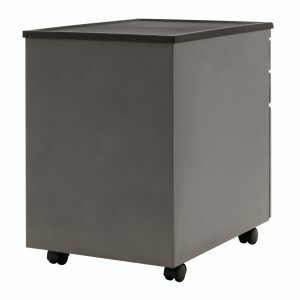 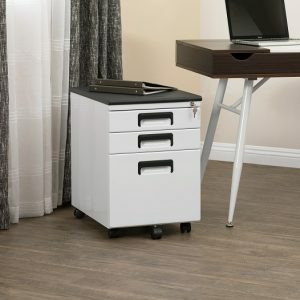 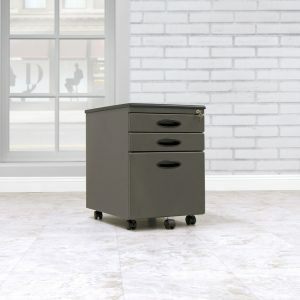 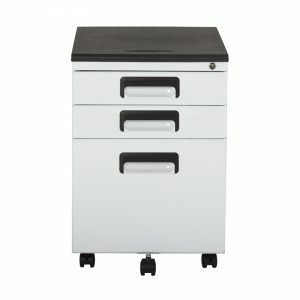 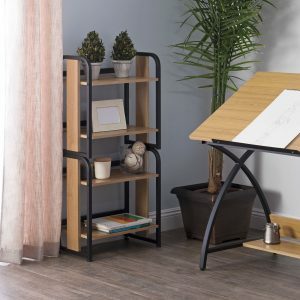 The Mobile File Cabinet is a compact and safe option for business and home offices. 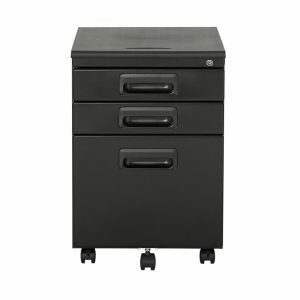 The file drawer keeps your documents organized and fits letter or legal size papers. 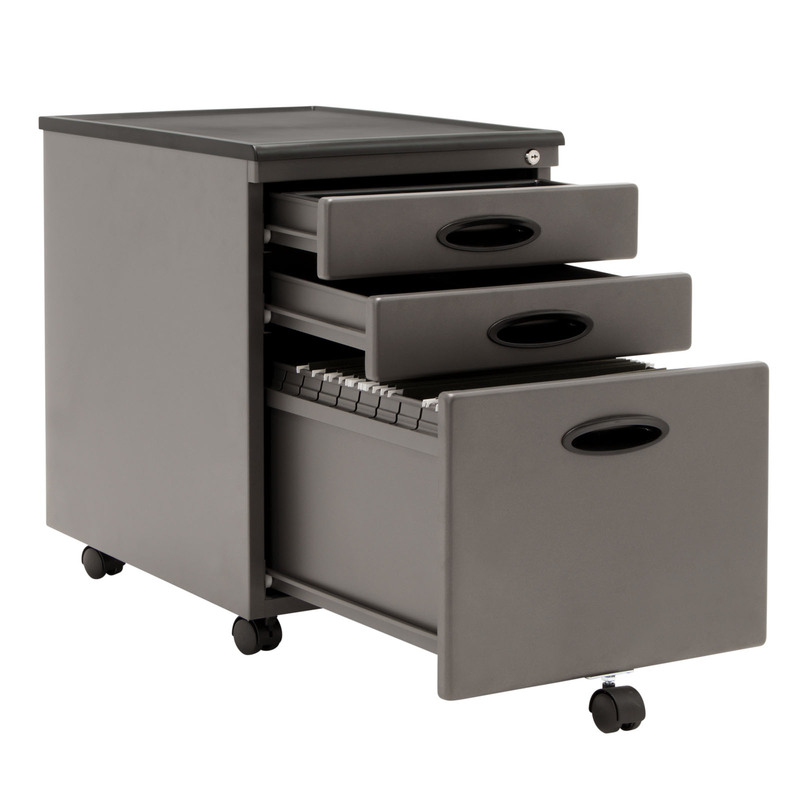 Two drawers above provide additional storage space. 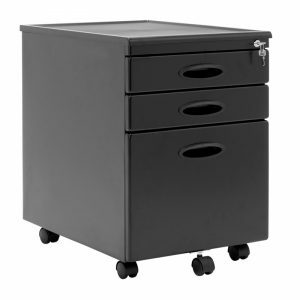 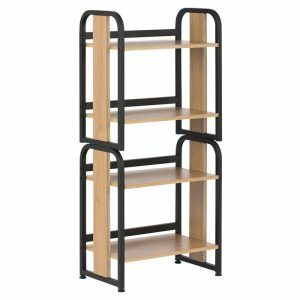 Five casters (one under the file drawer for stability) allow mobility. The cabinet fits under most desks and locks to keep your business private. 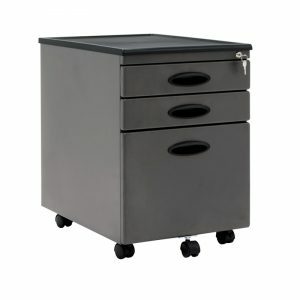 Ships fully assembled, except for the casters.